This summer, the little coastal resort of Pärnu, which Estonians refer to as their “summer capital”, will swell with over 100,000 visitors as the Weekend Festival pays a visit. When it took place on the town’s long, sandy beach last year, it was a transformative event for that weekend, turning a place that, even in the height of the summer, always seemed more akin to Devon than Ibiza, into somewhere where you can’t swing a cat for EDM fans. For those who can’t get enough of Afrojack, Aviici or Axwell & Ingrosso, Weekend is manna from heaven. For people who stay a little longer, there is a different story to be told, of an Estonian music scene that is blossoming over time. Watchers of the international music scene sometimes talk about an “a-ha moment”. Norway was practically unknown as an incubator of bands or artists until the trio moved to London, re-released ‘Take On Me’, and set off on a path to stardom which, perhaps due to their original marketing as a teen-pop outfit, ignores more recent moments of genuine musical excellence. It’s a kind of compliment to a-ha that, until the early 2000s when Röyksopp were at their peak, no Norwegian act was a more successful export. Bergen is now revered as a home to both a flourishing hipster arts scene, and some of the most interesting electronic and pop music being made today. The thing is, it’s difficult to manufacture an a-ha moment. Ewert and the Two Dragons have gained niche success around Europe, gaining critical acclaim for three excellent albums and winning a European Border Breaker Award along the way. A lot of the group’s success is because of the sterling work of manager Toomas Olljum, who also manages Iiris, one of the most original talents anyone will hear anywhere, who never makes a single that sounds the same as the last one. Olljum has done great work in making these artists heard around Europe, in the process indirectly shining a light on other artists. Separately, Tartu band Odd Hugo has caused a stir with its almost uncategorisable prog-folk-pop. Meanwhile, Ingrid Lukas has gained praise for her new direction, with her album Demimonde about to get a wide release. Although Estonia has a large number of great success stories from recent years, there still hasn’t been that one-off explosion of interest that transforms the Baltic nation from a musical gem into a new Stockholm or Bergen. Maybe that’s because Estonians prefer to do things gradually, and certainly there has been a steady build-up of interest over time. However, one artist that could have taken off in the mainstream was Kerli. It may still happen for the “bubblegoth” pioneer from Elva who went to Sweden then Los Angeles as a youngster, but there was a window of opportunity for her to take the step up to that A-list of globally-recognisable singers, following the interest in her first album Love is Dead. Things have perhaps not been as simple as it was thought they would be. Kerli’s second album had a brighter, more positive sound than Love is Dead, but this seemed to turn off a number of the first album’s supporters, who felt they could relate more closely to the melancholy of the debut. The second release, Utopia, was also EP length, and, perhaps crucially, omitted two of Kerli’s strongest songs, ‘Army of Love’, which was released between albums as a single, and ‘Skyscraper’. ‘Skyscraper’, a survival ballad, was inspired by a picture of the apocalypse, but could also be read as an allegory for domestic abuse. The Estonian co-wrote it, but the song was given to Demi Lovato. Following Lovato’s success with the track, and the subsequent number-one cover by X Factor UK winner Sam Bailey, Kerli became the first Estonian artist to top the UK Singles Chart. It was a big moment, but it could have been bigger for Kerli if she’d been able to release the track, a towering anthem, herself. Could this have been the moment that would have fixed global eyes on Estonia? As Kerli told me in an interview in January 2015, she felt pressured in ways she no longer does. She has since executed a record company switch to dance label Ultra Music, which allows her greater creative freedom. “Everybody started freaking out, and telling me I needed to make the company way more money, because it was a million dollars in debt, so I needed to start making happy music. Now, I’m making this music that no-one has heard yet, but I’m going back to that introverted melancholy. I feel very strong as an artist. I have this vision I want to create, and I just want to create it from a place of no fear, create something that I will be proud of and something that will be left behind ‘of me’, and not worry about if it gets the release or the money. I want to get the chance to create fearlessly.” She showcased her new music at Tallinn Music Week 2016, only increasing anticipation of what is to come. Perhaps the better question is, does Estonia really need an explosion of interest? Estonians generally prefer to take things in a more relaxed manner. Estonia is quite possibly doing well enough, influencing from the edges, aware that the most exciting things in the arts happen outside the mainstream. Tallinn Music Week grows by the year, the most recent edition of the showcase festival attracting 34,676 visitors over its duration. Syn Cole is one of the hottest properties in EDM. Simon le Bon, a living legend as part of Duran Duran, says he wants to work with Maarja Nuut, the violinist who uses technology in such a novel way. Estonian artists, doing things in a way that could be called Estonian – letting their output do the talking, picking up a long-term, slow-burn following – are respected all over the world. Even Kerli, a single-minded and ambitious artist, seems to have re-engaged latterly with the ways of her home nation, having recorded the bulk of her third album in a studio in the middle of dense forest, becoming a Nature Ambassador for the public body Enterprise Estonia at the same time. It might be a few years, or decades, before multinational record company talent scouts have permanent stations in Estonia, or a global songwriting and production factory along the lines of that run by Max Martin in Stockholm is set up. But from the rehearsal rooms of Telliskivi Creative Hub to the bedrooms of talented teenagers in Tartu, Võru and Pärnu, new names in music are taking the opportunities offered to them by technology, and are releasing music no-one has heard before, influenced by the uniqueness of the landscape, geography and society of Estonia. You can see this technology in the music of NOËP, Andres Kõpper’s personal project, creating the kind of ambiance that used to be the staple of the Chemical Brothers and the other raucous party-orientated dance acts of the 1990s. The difference is, they made that music using armfuls of samples, and banks of sequencers. Kõpper has a computer, a keyboard, a tablet-sized mixing board, and a drum pad. And that’s it. When he plays, he doesn’t sound like a one-man band, and to hear NOËP take over a room in Tallinn’s Kultuurikätel on the opening night of Tallinn Music Week was to hear a man who was born to entertain. Folk and traditional music capital Viljandi could, wrongly, be viewed as the opposite end of the musical spectrum. 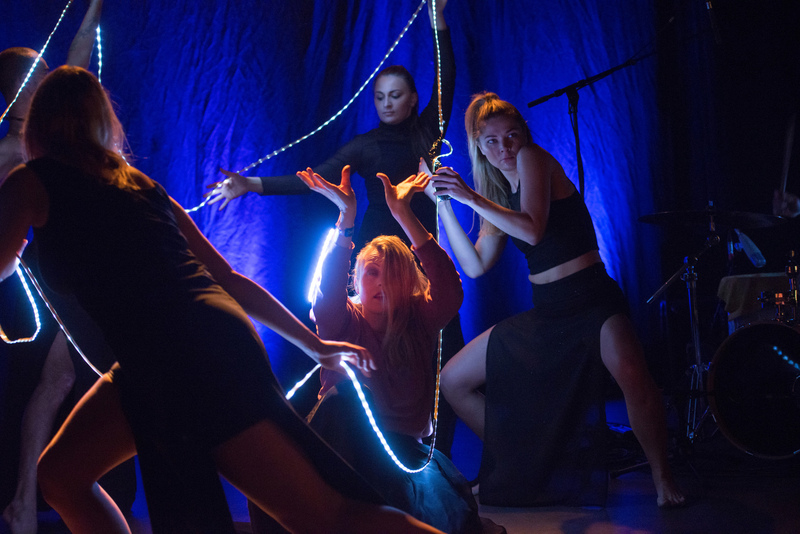 However acts schooled in the age-old art of Estonian folk have been using their experience in that genre, augmented with technology, for a novel and, it seems, marketable new sound. Nuut has toured the United States, and Trad.Attack!, the folk trio that uses archive samples and a vocal looper to create the most hypnotic reels, has plans to tour every country in the world; the band is currently in China promoting award-winning album Ah!. Watch Kõpper, who looks like an off-duty male model, command a party, and then take in the spiritual experience of one of Nuut’s gigs, and similarities become clearer. In their own way, both artists are using technology as a way of expressing their talents, creating something that is, in its invention and beauty, uniquely Estonian. Stuart Garlick is an English journalist who lives in Tallinn, Estonia. He writes the website Charmoffensive.ee, and contributes to Agence France Presse and a number of publications in the Baltic region. Stuart admits to taking Eurovision far too seriously, to the point where he is currently trying to write a song for the Estonian selection in 2017.